How many of our numbered days do we spend filling out online forms, updating our Linked-in Profile and Facebook page, dutifully presenting our online presence and maintaining our omnipresent brand? We measure out our lives in tweets and Keurig cups, following rules dictated by others supposedly to make our lives happier and more productive. How much human time and energy is spent remembering and changing passwords, securing our data, fearing for our privacy? This algorithm becomes the rhythm of our lives, a dithyramb of distraction. The technology designed to liberate us risks becoming our prison. We are our own willing jailers, watched over by those who claim it is their right and responsibility in a dangerous world. But who watches the watchers? In Europe, which has experienced totalitarianism, fascism, communism (and others which may slip my mind), they have learned to be properly skeptical of the uses information is put to by the state – however ostensibly well-intentioned. But in the U.S. government and corporations claim to act in the best interests of constituents and consumers while mining our digital browser droppings against our wishes and without our consent. Perhaps it’s time to accept the roles of citizen and consumer are now interchangeable. We accept a certain conformity, a certain go-along to get along in the interest of of having our cake and eating it. There’s a tradeoff between convenience and liability: instant shopping, news from everywhere and nowhere, having our identity follow us across devices and locations, convenient phonecalls so that we are never out of reach of being reached out to. Good luck to them. This behavior adds a new spin to the notion of creative destruction that economists blithely use to describe the process of continual obsolescence that superannuates products, people and skills. Whether you might be subject to penalties or arrest for this sort of thing is an interesting question. The Matrix is everywhere, it is all around us. America has given the world a noble line of dissenters from Thomas Paine and Thoreau to Joseph Heller’s Yossarian in Catch-22. Our willingness to give up our birthright for a mess of pottage (to cite both Thoreau’s Life without Principle and the Bible) is ironic to say the least. How easily we click the pressbar to reveal our purchasing habits, sexual proclivities, income and location to persons and institutions whose trustworthiness is unknown, in order to receive the simulacrum of individual attention: daily reminders of what we might like to buy, pontifications matching our presumed political affiliations, amusing tweets and cat videos. This tailoring of content to our personal brand is seductive and insidious. It reassures us that our every quirk, opinion, and desire is okay — and more to the point worth something. Thus the commodification of the self is nearly complete. 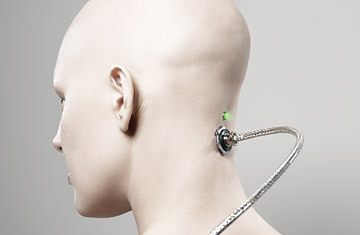 This automated individuation has a homogenizing effect — lulling us into conformity. Despite our celebration of Thoreau, backhanded respect for Paine and admiration for Heller’s Rabelaisian character, the dirty little secret of democracy (and perhaps all human nature) is we want to go with the crowd. Inside every non-conformist is a man (or woman) in a gray-flannel suit trying to get out. It’s exhausting (if it’s even possible) to get up every day to create and sustain your own unique brand. It’s scary as hell to chart your own course through the dark forest of capitalism with creatures red in tooth and claw. Immersed in our connected isolation, we become less like Thoreau than T.S. Eliot’s J. Alfred Prufrock. (Don’t forget that Eliot was American). Rather than celebrating our own individual expression and possibility as human beings, we become afraid to wear our trousers rolled — unless trouser rolling is trending. Here’s my manifesto for today: Step away from the social network. Take a break from attending breathlessly to crowdsourced opinion polls, received wisdom and tweets calling each to each in the virtual echo chamber. 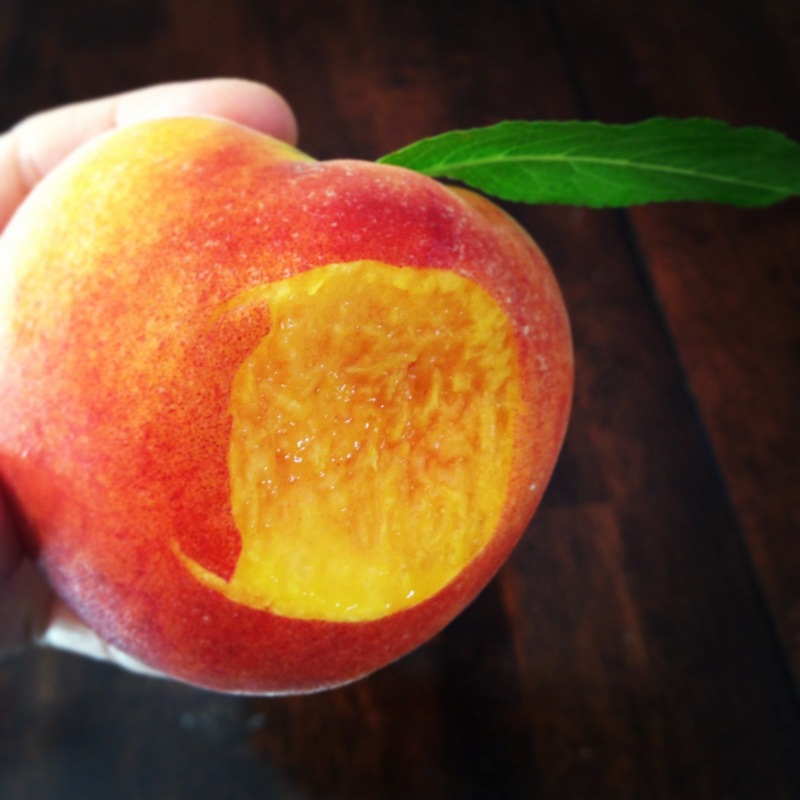 Dare to eat a peach grown in the garden of your own autonomy. – D.A. ‘…the dirty little secret of democracy (and perhaps all human nature) is we want to go with the crowd.’ Tocqueville didn’t write about ‘the tyranny of the majority’ for nothing.